Something is going on in my neighborhood of Queen's. All the sites I'm testing on over the past 2 days are capped at 40 mbps down. Not sure why. 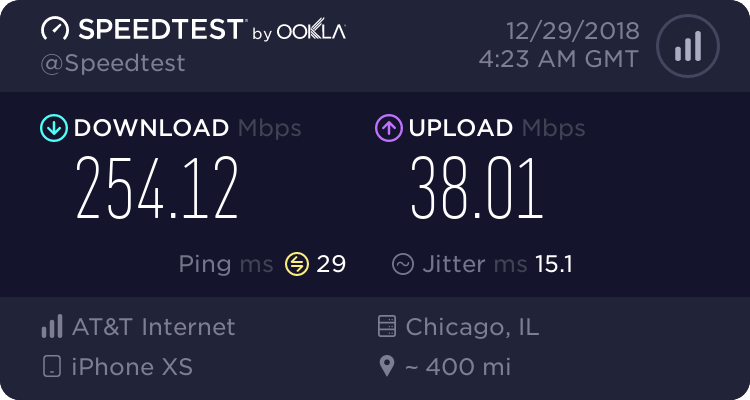 Every single test takes off and settles right at our around 40 mbps. Any one know why? These same sites were putting out 150+ last week. Temporary backhaul? Sites downloading huge updates? Throttling, lol? Used different servers, as well. Also, it seems more prevalent when band 30 is PCC. Last edited by Joeybutts; 02-12-2019 at 09:54 AM. RootMetrics published their 2H 2018 data. AT&T’s fastest market was Baltimore @ 51.6 Mbps, and slowest market was Antelope Valley, CA @ 7.6 Mbps. Noticed the big fat panels being more prevalent in Delaware than last time. Hopefully that means B14 since most rural areas are lucky to have useable band 2. 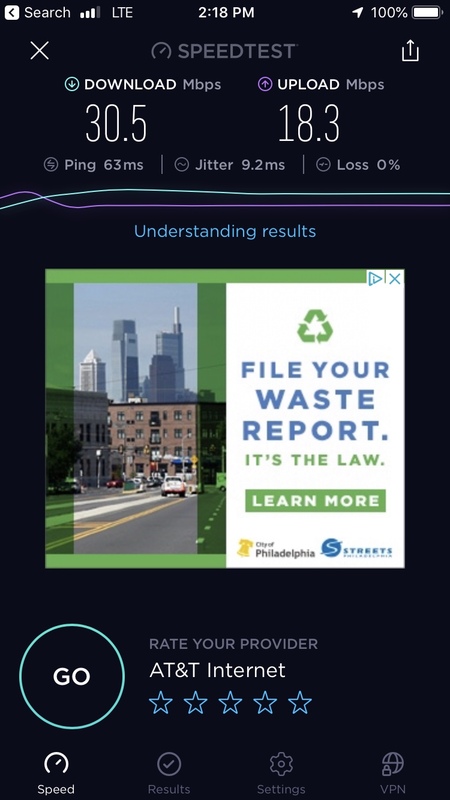 Speeds at my moms went back up to 20/2. They were almost 0 last time I visited. Though it sometimes did 10/.05. 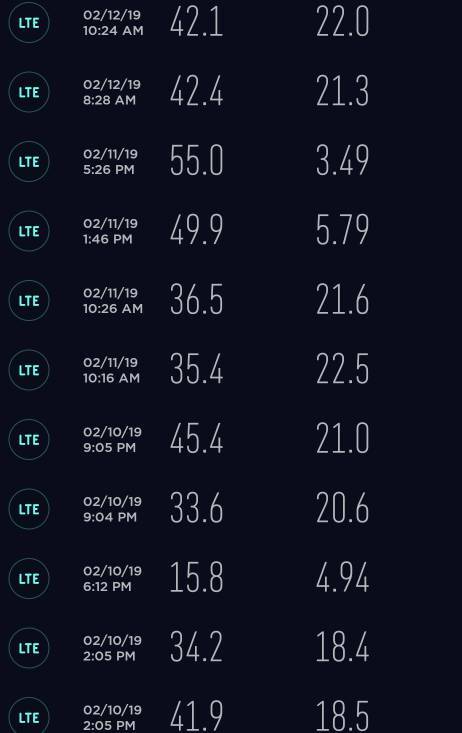 VoLTE still isn’t stable enough due to the upload speeds. T has made some nice improvements, it shows! Thought VZW wasn’t good there too? Many different stores in this shopping center. Yes good to see they’ve won more awards than 1st half of 2018. I’ve certainly noticed a difference in more consistent download speeds. I just want them to start adding small cells in the suburban areas. It’s being done, don’t you worry. The typical time between permit submission and approval in my city (OKC) is typically around 4-8 months. Unfortunately lots of cities and towns are being thorns in carrier’s sides about deploying them. I’ve seen many cities just flat out reject them in new development areas in Frisco, TX. I guess people don’t want good cell service. It’s their fault, and I don’t want to hear them complaining about not having decent service. That’s my rant for tonight, lmao. 33rd and Chestnut Philly. Congested with lots of people. New node going up on the North side of the Target parking lot around my mall area. Much cleaner and more sleek design than the others. Last edited by BentleyBeard; 02-14-2019 at 04:50 PM. 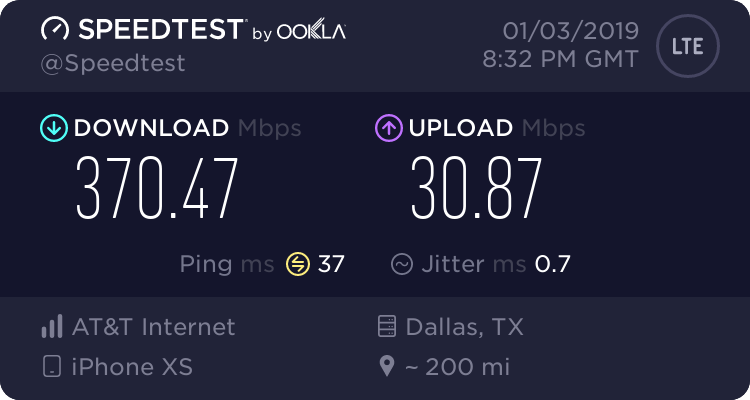 I have no idea what's going on with AT&T in this area but three weeks ago, I posted a test where I got over 200Mbps download. This is on the same Note 8 as the other tests in this thread.